Are adverts the key to lower mobile data rates? 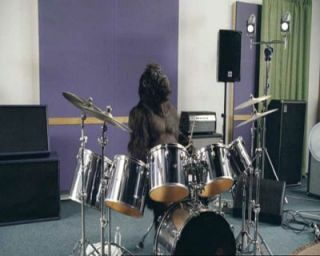 Could the Cadbury's gorilla be coming to a mobile near you soon? Nearly a quarter of all mobile phone users in the US have seen advertising on their phone in the past month, and of these approximately half responded to the ad. So says market research company Nielson, which yesterday released a report on US mobile phone trends based on a survey of 22,000 mobile users. According to Nielson the figures mark a 38 per cent rise on figures obtained earlier in the year. US mobile providers such as AT&T and Sprint Nextel are reported to have considered boosting their revenue through the introduction of mobile ads, but have so far refrained fearing a backlash from customers. However, the latest findings from Nielson could be interpreted as a ‘green light’ by such companies, after it was found that almost a third of mobile data customers would be happy to expose themselves to more ads if it meant a reduction in their bill. In fact, Virgin Mobile USA is already doing just that – offering call discounts in exchange for viewing ads. It’s hard to say whether such a scheme would prove popular in the UK. Despite falling prices and flat-rate deals, mobile data rates remain far too high at present, and continue to put many people off. If ads can help to redress the situation then maybe they’re worth a go.